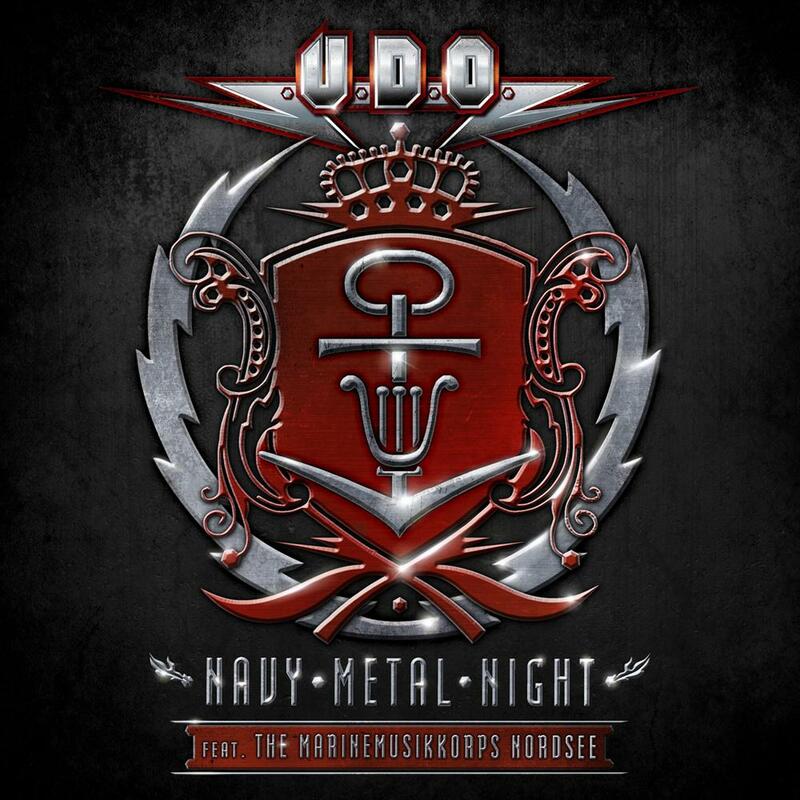 Home›Features›Concerto for Group and Orchestra - Deep Purple's classical/rock fusion experiment! 1969 saw the first change in Deep Purple’s lineup, with the departure of original vocalist Rod Evans and bassist Nick Simper. They were subsequently replaced by new vocalist Ian Gillan and new bassist Roger Glover, both of whom had played together in the band Episode Six. In the years that followed, this became Deep Purple’s most successful lineup, producing the band’s biggest hit singles and albums, as they broke away from the Jon Lord-led “art rock” of their early days. But before the release of the Deep Purple In Rock studio album and the “Black Night” single, the second incarnation of Deep Purple took part in an intriguing experiment, attempting to combine the worlds of rock and classical. 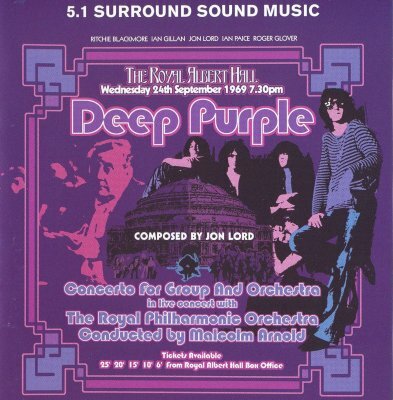 On September 24, 1969, the fledgling band teamed up with an orchestra conducted by Malcolm Arnold, performing Jon Lord’s Concerto for Group and Orchestra. It has often been said that this was the release that paved the way for further “rock and classical” fusion efforts. But how does it fare all these years later? Jon Lord, even well into his post-Deep Purple life, would always continue to incorporate classical elements into what he did; he actually followed this piece of music up about a year later with the Gemini Suite, another attempt to combine the two musical extremes. 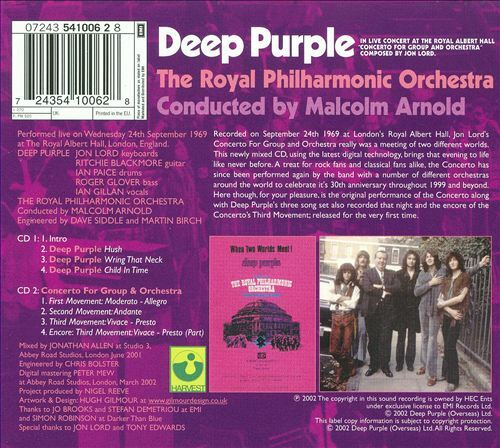 The Concerto for Group and Orchestra first aired on British television on April 4, 1970, just about two months before the “new’ Deep Purple shifted in a more rock-driven direction. The Concerto for Group and Orchestra's current CD release, with a first disc consisting of bonus material. The fusion of rock and classical has certainly become more accepted and commonplace in the mainstream over the years; Deep Purple’s experiment here was certainly not the first attempt at something like this, though it was arguably the most ambitious attempt at such a performance/fusion to the time. 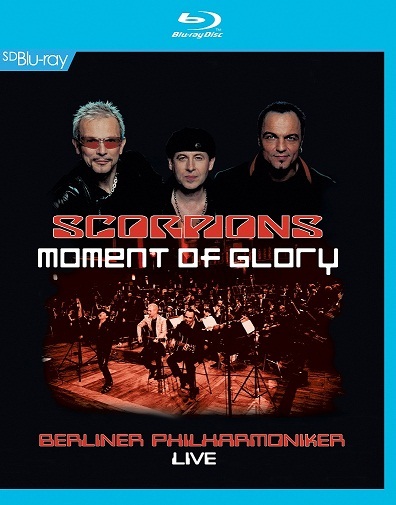 It has been reissued on CD a few times over the years, with additional tracks from the original performance added; the initial release featured only the Concerto itself. For a Deep Purple fan, is this oft-forgotten release worth hunting down? While there are definitely some highlights here, at large the album is a disappointment because it never quite delivers on what it promises. Audiences were promised a fusion of the worlds of rock and classical. Instead, we get an orchestra and a rock band that more or less “take turns” playing. In fact, in the “First Movement,” you do not even get to hear Deep Purple begin playing until over seven minutes in (on the CD release). I love classical music and Deep Purple, even the more classically driven Mark One era of the band. There are still a few highlights throughout the 55-minute-or-so Concerto. The “First Movement” features an amusing section of rapid cuts between the orchestra and the band, competing for musical dominance. The “Second Movement” features some great vocal work from Ian Gillan, and many of the Deep Purple portions; this feels like a lost Deep Purple Mark One song when the band gets a chance to shine. Even the “Third Movement” lets drummer Ian Paice demonstrate why he is one of the most underrated drummers out there (interesting trivia: Paicey is the only person to play on every Deep Purple release throughout the band's half-century history). But once more, the problem is that this is not really a fusion between two musical worlds at all; it is just the orchestra and Deep Purple “taking turns.” You get some interesting highlights, both from the orchestra and Deep Purple themselves. But at the end of the experience, it is quite underwhelming because you have to sit through rather mundane lengthy passages to get there. This would have been better off with the classical portions made as a separate Jon Lord album, and the vocal/band portions made as “traditional” Deep Purple songs. As such, it features interesting elements of two worlds, but they never quite “come together” like we as an audience would expect. There have been a number of CD releases of the Concerto for Group and Orchestra. Initial releases (including the original LP) only featured the Concerto itself. The current release is two CDs, with the Concerto on the second disc, and the first disc featuring a spoken word introduction, and performances of “Hush,” “Wring That Neck,” and “Child in Time.” The original broadcast (and subsequent DVD) also featured Malcolm Arnold’s “Symphony No. 6, Op. 95” being performed; this was no doubt omitted from the CD releases as it does not involve Deep Purple. If you want to get this release, the current two disc CD release is ideal. The Concerto for Group and Orchestra was an interesting, albeit failed experiment. Jon Lord’s follow-up classical work, the Gemini Suite, was a far superior attempt at combining the two musical worlds in that it actually featured rock instruments playing alongside an orchestra rather than having to alternate. I love and appreciate both rock and classical music, but in the long run this is a release that only Deep Purple completists and collectors will want to get their hands on. 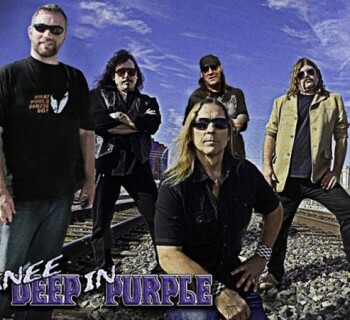 Knee Deep In Purple - Deep Purple Tribute Rocks the Eastside Cannery! Cheap Trick - Celebrating the Holiday Season with Christmas Christmas, Their New Christmas CD!